Frank Sinatra Fan Page of TheFrankSinatra.com on Facebook is now live! With more than 800 million users, Facebook is impossible to ignore by any company or website as it helps to reach more people in a more efficient way. TheFrankSinatra.com has Frank Sinatra Fan Page as well, but for a different purpose. While this website is mainly for sharing information, Facebook Fan Page is only for sharing videos of Frank Sinatra performances. Since 1st of January 2011, Frank Sinatra Fan Page has reached 1.500 people and helped people to watch more than 130 performances of Sinatra, some rare some common. From now on, I will post daily videos from 60+ different concerts everyday, and they will always be at least very good performances. 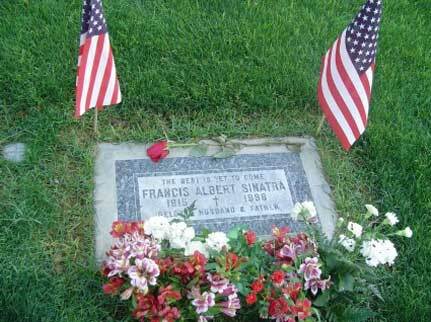 “Like” to watch the best performances of Frank Sinatra on Frank Sinatra Fan Page. You can also subscriber fo my Youtube Account to explore and watch older videos easily. Feel free to add videos of Frank Sinatra or your questions and ideas on Frank Sinatra Fan Page to contribute. As expected, the more people take part, the more people will benefit and know Sinatra in a better way. We are used to watching videos of the same concerts over and over, but Frank Sinatra Fan Page will introduce you many concerts and photos that you might have never seen before. There are always more and good enough material to share, when it come to the legendary Frank Sinatra. I sometimes upload many videos on YouTube at once and share them one by one on Frank Sinatra Fan Page in a long term. Subscribing to my account on YouTube will give you chance to see those videos earlier than they are shared on Frank Sinatra Fan Page on Facebook. YouTube videos have almost reached half a million views in total, I am happy to say.